Subscribe to Auction News magazine and receive the most credible written source from the auction industry. 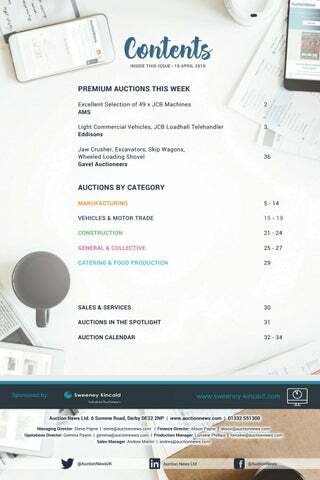 Designed for auction bidders, the magazine provides the UK’s best upcoming auctions, the latest auction news and showcases the auctioneers who drive the industry. Tired of spending hours online searching for upcoming auctions? 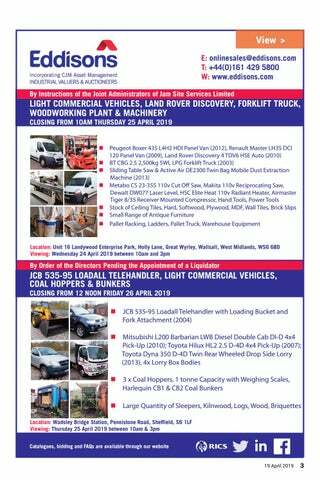 Then receive our weekly magazine and use our UK Auction Calendar for a detailed view of industrial, commercial and consumer auctions across the country. 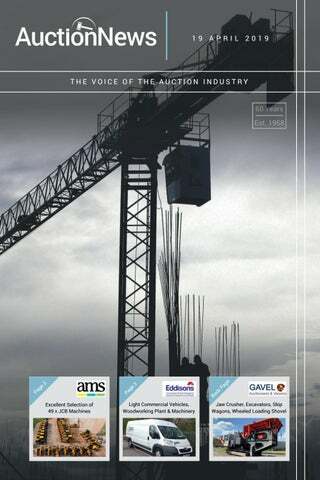 Working alongside the UK’s most trusted and respected auctioneers, Auction News has been published weekly since 1958. Available in print & digital format. Published weekly 49 times per year - please allow up to 10 days for your first printed magazine to arrive in the post. Our mobile-friendly digital magazine is available 24/7 on our website and updated every Friday from 11am. You can request a weekly email reminder from your dashboard, so you never miss an issue. All subscriptions are recurring payments which may be cancelled at any time from your dashboard. "Helpful, honest, friendly - that just about describes Auction News. I have found their service over the years to be exemplary and have no qualms in recommending other auctioneers to use them for promoting their auctions." "Been using Auction News for a few years now. 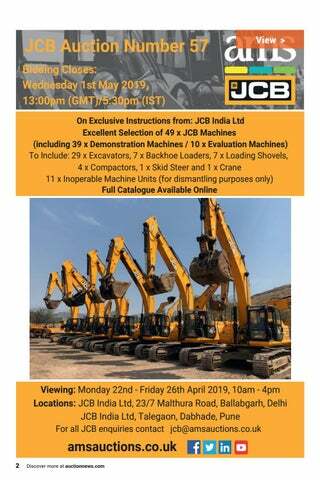 Excellent range of auctions and its easy to find what you're looking for. I've made lots of bargain buys through this site." "We have used Auction News several times now for our Farm Auctions down at West Meon and have had many customers who have heard about us through this fantastic publication. Can't rate them highly enough! Good readership, friendly staff and gets you good value for money, totally worth it." "Been using Auction News for many years and plan to continue. Staff are always accommodating and have found this a great magazine for advertising our Auctions"
"Great service, advertises many auctions I wouldn't have known about otherwise." "We advertise our BCVA Commercial Auctions through Auction News and are very pleased with the number of new clients who have clicked through to their chosen bidding system. The staff are always very helpful and provide a very professional service." "We have been using Auction News for many years now to promote EquipNet's auction events. All their services that we have used always perform great and we get many new users and bidders from them. Very professional and organised in the way they work." "We have been using Auction News for a number of years and will continue to so to advertise our upcoming auctions at Truck & Plant Assets. Each member of Auction News are friendly, professional and a pleasure to deal with." 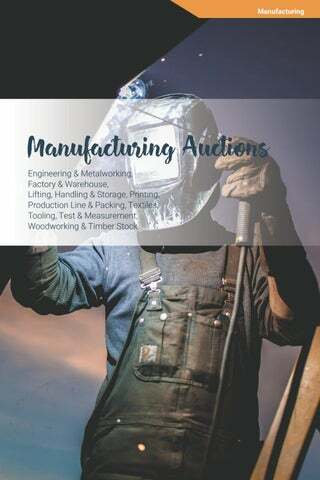 "Auction News has been the go-to publication for promoting industrial/commercial auctions for many years, we have always been very happy with the responses to the advertising we have placed with them."